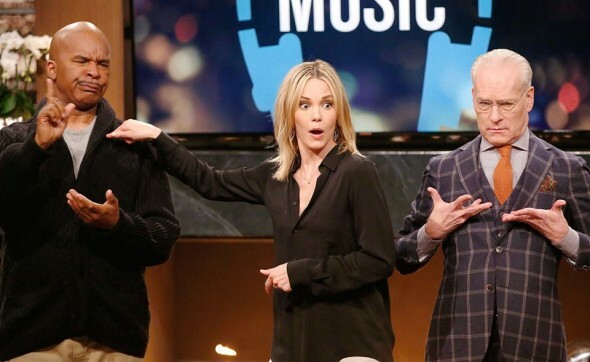 Thursday, June 12, 2014 ratings — New episodes: Hollywood Game Night, Undateable, Last Comic Standing, Gang Related, and Hell’s Kitchen. Specials: Jimmy Kimmel Live: Game 4. Sports: NBA Countdown and NBA Finals. Reruns: The Big Bang Theory, Mom, The Millers, Two and a Half Men, Elementary, The Vampire Diaries, and The Originals. Last Comic Standing. Finally they have a format I can live with. The formats years ago were not good. I taped the show and only watched the last 15-minutes when they actually did the stand-up routines. The games they had the contestants perform in the beginning of the show were not funny and most were annoying. What they have now is a good format.